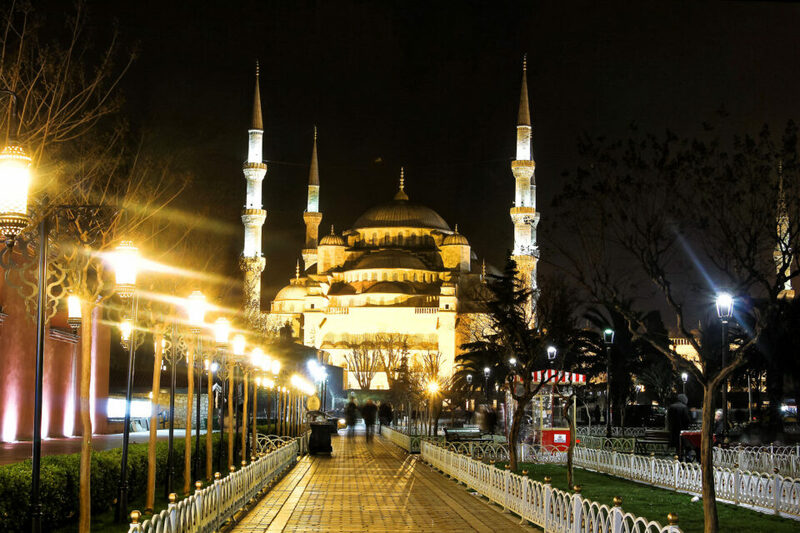 Directions: A 10-20 minute walk from most of the popular tourist hotels in Istanbul. However if you are taking the metro, make sure to get off at the Sultanahmet stop. Please note that entrance to the mosque is closed during prayer times (unless you have to pray too), which is five times a day. Most notable times are the Midday prayers, late afternoon and Sunset times. During this time the mosque can be closed for more than an hour. The Sultan Ahmed Mosque (aka The Blue Mosque for its unique blue tiles that line the inner walls and ceilings of the mosque) was built during the 1600s. 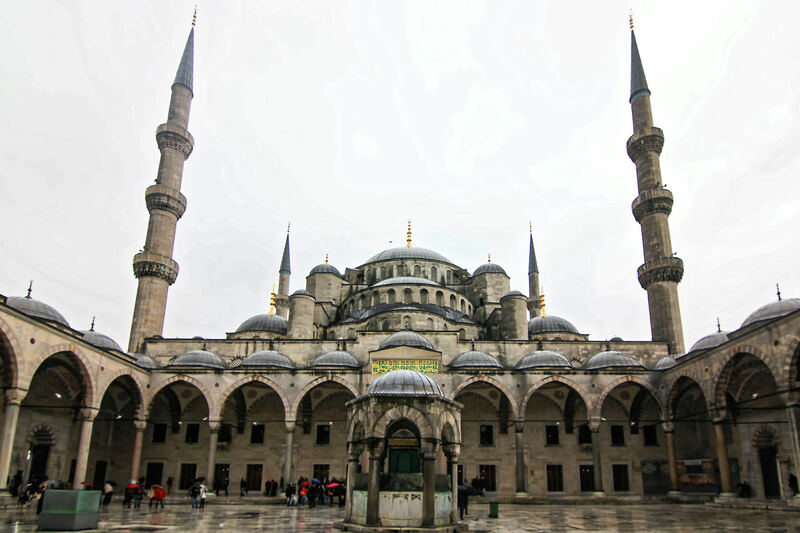 The massive mosque is visible from large distances and is an iconic place for tourists. 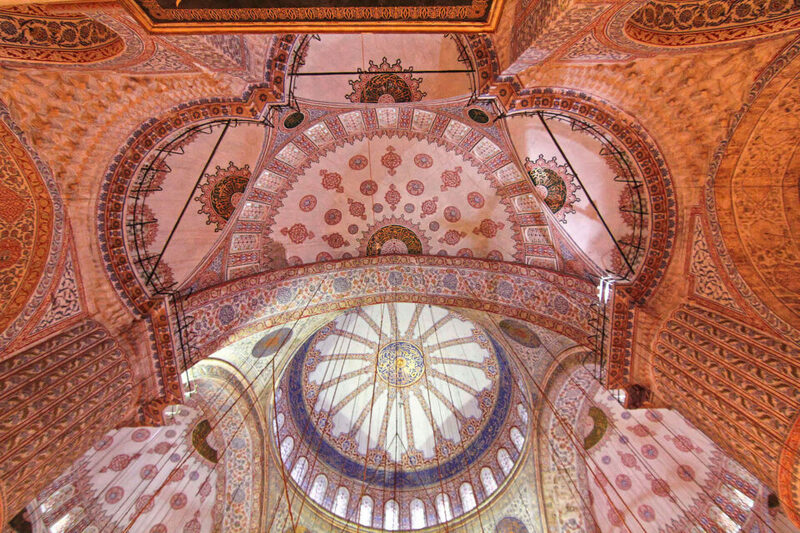 The unique architecture has been the inspiration for many mosques built all around the world. Its signature dome architecture is just as amazing to capture from inside as it is from outside. 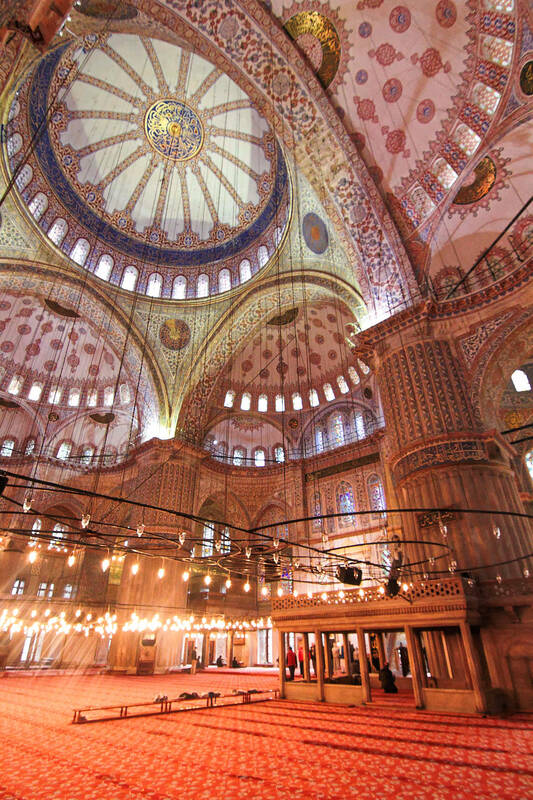 The walls are covered in thousands of hand build mosaics and the inside is lit with enormous chandeliers hangling from chains from the ceiling. Tripods may not be allowed as the inside is lined with plush carpets, so a fast wide angle lens is a must. Also note that the combination of red carpets, blue and red mosaics on the ceilings and the chandeliers will wreak havoc on the exposure and metering, so do read up on photography in dimly lit interiors.